Before going into real estate, Kate spent seventeen years in jobs that involved traveling and working with the public. She lived in various cities in the United States and abroad. She was delighted to return to the Boston area in 2002. A Realtor for over fourteen years, Kate has put her management and negotiating skills to good use in her career. She is known for her professionalism, level-headedness, and sincere attention to the needs of her buyer and seller clients. Her ability to skillfully navigate every aspect of the real estate transaction quickly resulted in many repeat clients and referrals. 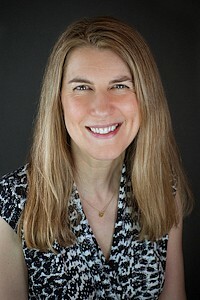 Kate grew up in the Boston area and graduated from Tufts University with a degree in English. She also has a strong interest in music; she sang for years in the Saint Patrick's Cathedral Choir in NYC, and later in the Harvard-Radcliffe Chorus. She has enjoyed being part of the swing dance community, too, and has also been an avid lap swimmer. She welcomes any opportunities to speak French, which she improved while living in Paris for two years.